For over a hundred years, Redondo Beach has captured the imagination of travelers from around the world. Modern surfing was born here. Boards, baggies, and bikinis became industries, and the Beach Boys pounded out a surf beat that lured a whole generation to enjoy the West Coast promise of freedom. Redondo Beach has hosted many colorful visitors including natives, wranglers, ranchers, railroad barons, rum runners and a gangster or two – not to mention the beach revelers who rode the Pacific Electric Railway Red Cars for a weekend away from the heat of the Los Angeles Basin. The destination was first inhabited by California coastal natives. They made encampments along the beach, to take advantage of the incredible harvest from the sea; the salt for trading with other tribes, fishing, and the very hospitable climate. The written history of the Redondo Beach area begins in 1542 when Juan Rodriguez Cabrillo discovered the beautiful, sweeping Santa Monica Bay. It remained a sleeping native village for more than 200 years. As a part of the 43,000 acre Dominguez Rancho (a Spanish Land Grant of 1784) Redondo Beach was a rich farming and grazing area until the end of the century. The establishment of Redondo Beach was not by chance. In the late 1800’s a race was on to establish a seaport for Southern California. Incorporated on April 29th, 1892, the City was already well served by rail and steamship lines and was an early Port of Los Angeles. The lumber and shipping industries preceded the entrance of Pacific Electric Big Red Car Line. 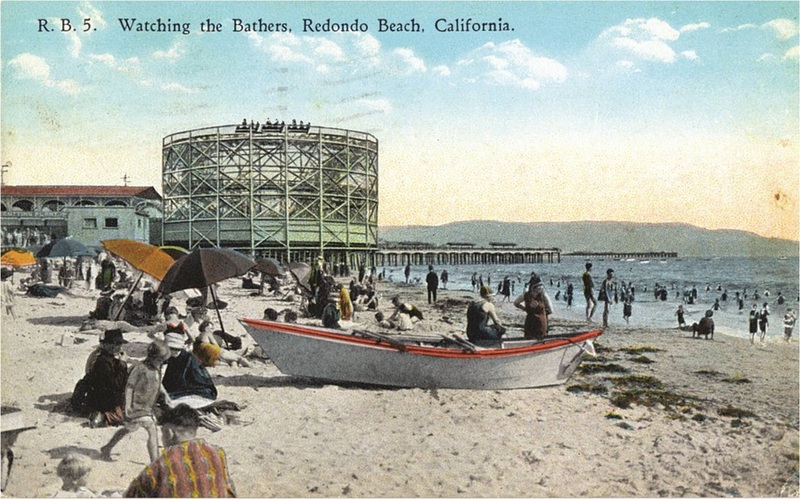 This contributed to the reputation of Redondo Beach as a resort recreation area for Southern California’s rapidly expanding population. The opening of the Port of Los Angeles in San Pedro ended the City’s shipping trade. The city grew slowly during the Great Depression and World War II. During the 50’s and 60’s Redondo Beach came into its own. Once again it became a popular resort city, as well as a great place to live, work and play.